The school year is coming to a close at Parsons Fashion and this past Tuesday we had our last live model session. I enjoy not only being able to pass on the knowledge I’ve gained through my education and experience, but also being able to draw with the students. I’m grateful for my talents, but just as grateful for the inspiration… in this case, our model, Ema Randall. 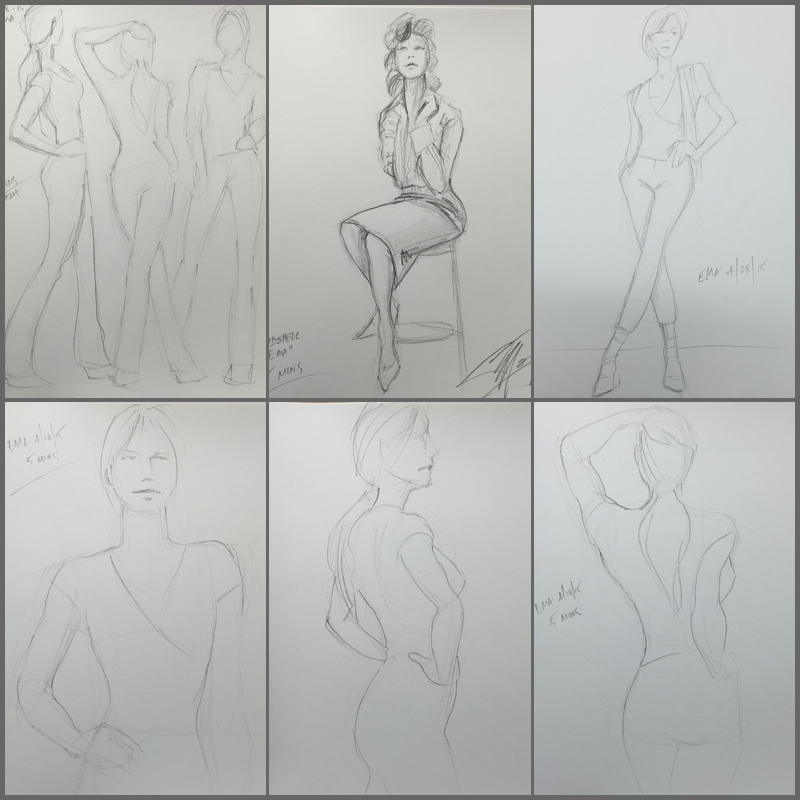 Here are a few sketches from the session, all were either 5 or 10 minute poses, which the exception of the top middle, which was 15 minutes. I already miss the model drawing and look forward to new students in the fall. Previous Art that enrages me… then art that makes me happy.